Entering this beautiful 11th floor beachfront unit, you're immediately greeted with tranquility as the sound of the waves brush the sugar-white sand beach. The view is amazing. 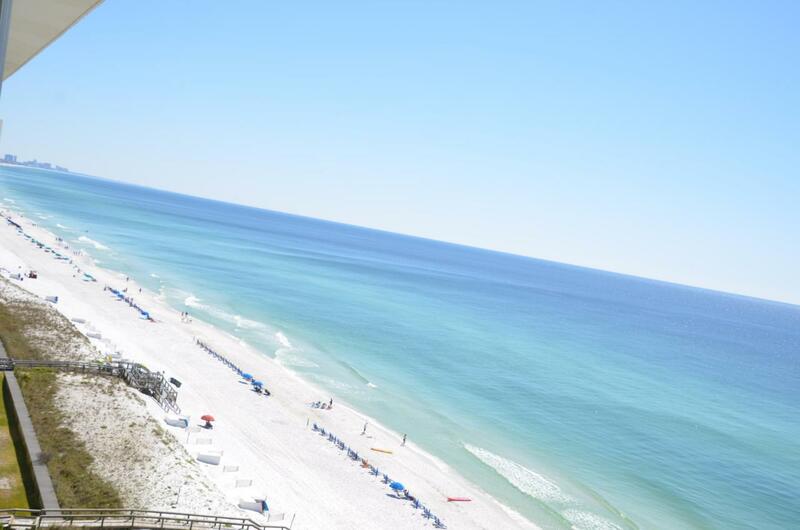 Tides of Destin is a non-rental building, and management maintains the building up to the highest standards for the owners. The unit has been lovingly owned and updated by the same out-of-state family as a high-end second home since it was built. It is in immaculate condition. Two large living rooms each with glass from top to bottom on the beach side allow a waterfront view from just about anywhere in the unit. Custom built-in's, crown molding, electric fireplace, 32' balcony, & 16-inch tile are a few of the outstanding features associated with this unit.There are five units on the 11th floor that have additional overhang on the balconies. This reduces the amount of heat from the windows which cuts down on the ac usage. The unit is also high enough that it doesn't get much noise from the beach, tennis courts, and pool.